This post is the first in a series evaluating the birth story of Jesus and is specifically focused on the relationship between the birth of Jesus and the prophecy of a virgin birth. For the record, I started this before Christmas but obviously didn’t finish in time. The Hebrew word in the Isaiah passage in ‘almah’. In some translations, including the NET above, this word is translated to ‘young woman’ instead of virgin on the contention that this the more accurate translation. The context of the prophecy in Isaiah (as is provided above) seems to imply that the birth of the child is an impending event and that child’s life serves as a reference point for the timing of the predicted desolation of Syria and Israel. These issues will be the focus of the evaluation from the Christian and naturalist viewpoints. In a Christian worldview the default position for every prophecy is to submit to the authority of scripture and contend that the prophecies are genuinely fulfilled in Jesus’ birth, as asserted in Matthew. Even so, the difficulties noted above need to be addressed in order to support this view. A quick search shows a lot of effort has been put into this word study and I’ve yet to encounter a definitive conclusion. It’s difficult to find an even handed discussion of the topic. Everything I’ve found is arguing to show that the Christian interpretation is either right or wrong. In the end, the strongest argument in favor of the ‘virgin’ translation is the fact that this is the translation in the Septuagint, which is the Old Testament translated to Greek by Jewish scholars before the birth of Jesus. That then is claimed to show that a scholarly, unbiased translation by those most familiar with the text and culture yielded a translation to ‘virgin’. There is also a theory, which is affirmed by several early church fathers, that the original text of Matthew was in Hebrew and not Greek. In that scenario, the author would have simply used the same word as was used in Isaiah but, from the context, with the clear implication that it meant ‘virgin’. The theory that Matthew was originally in Hebrew is bolstered by the text’s obvious interest in demonstrating Jesus’ link to the Jewish tradition. Ultimately, this means that the author of Matthew understood the original passage to mean ‘virgin’ regardless of the translation. The most common explanation for the apparent “taking out of context” invokes a dual fulfillment, which relies on the subsequent chapters in Isaiah to show an intermingling of messianic and present day events. The present day fulfillment was said to be achieved in the birth of Maher-Shalal-Hash-Baz in Isaiah 8. The messianic fulfillment was achieved in the birth of Jesus. Under this view the claim of fulfillment by Matthew is not in error but rather a revelation of the divine foreshadowing in Isaiah. A naturalist contends that the difficulties arise because the Old Testament authors have no supernatural means to foretell future events and that the prophecy can only be fulfilled by as a matter of coincidence, misinterpretation or deceit. The primary argument levied by those who contend that almah is best translated as ‘young woman’ instead of ‘virgin’ stands on the fact that the Hebrew word ‘bethulah’ is the better choice. 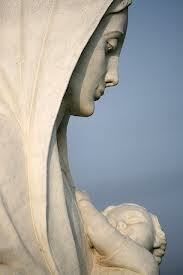 This is supported by the fact that bethulah is used 50 times in the Old Testament and is usually translated as virgin. Almah is used only seven times and is usually translated as ‘maiden’ or ‘girl’, though the King James often uses ‘virgin’. Ultimately, the most likely explanation under a naturalist view is that there was in place an oral tradition for Jesus’ virgin birth (perhaps inspired in part by other demi-god legends) and that the author (or more likely, a redactor) of Matthew was familiar with some form of the Septuagint and used that as the basis for establishing the link to the passage in Isaiah. This is bolstered when one considers the cultural aspects surrounding Matthew’s authorship. There is good reason to suspect that some of the text in Matthew originated in Nazarene circles, where the contention of the messiah’s virgin birth would have been important as an argument against the non-virgin interpretation held by Jews and Ebionites. We are told that both the Nazarenes and the Ebionites held an early version of Matthew and that the Ebionite version did not include the nativity. We are also told the Ebionites held to an adoptionist Christology. The virgin birth serves as a critical link in the claim that Jesus’ was divine from the start. When these aspects are considered, the passage in Isaiah which at first appeared to be an unlikely candidate for claiming messianic fulfillment suddenly becomes important in arguing for the author’s (or redactor’s) view. Without assuming that Jesus needs to fulfill the role of the child in Isaiah 7:14 the text can be read plainly to imply an impending birth. This also fits with the traditional Jewish interpretation, which does not assign a messianic role to the child. Also, without the assumption of divine inspiration for the text in Matthew, the claim of fulfillment can be seen as a human attempt to fit Jesus into the role of the messiah by hijacking the prophecy as messianic. As noted above, it is likely that some existing oral tradition had claimed that Jesus was born of a virgin and the writer in Matthew was trying to fit that into a prophecy to reinforce Jesus’ position as both the messiah and son of God. Alternatively we might suppose that the oral tradition was initiated in order to fulfill prophecy. This, however, is unlikely because there is no reason to believe that the messiah was ever previously expected to be born of a virgin. Note that the authorship of Matthew will be reviewed in more detail at some point in the future. I think that information can have significant implications in understanding the potential motivations behind the text.